Most of us only think about teeth when something’s wrong with them — when they come in crooked, break, or begin to rot. But take a minute to consider your teeth as the extraordinary feat of engineering they are. They concentrate and transmit the forces needed to break food, again and again, up to millions of times over a lifetime. And they do it without themselves being broken in the process — with the very same raw materials used to make the plants and animals being eaten. Chewing is like a perpetual death match in the mouth, with plants and animals developing tough or hard tissues for protection, and teeth evolving ways to sharpen or strengthen themselves to overcome those defenses. Most living things don’t want to be eaten. They often protect themselves by reinforcing their parts to stop eaters from breaking them into small enough bits to swallow or digest. It could be a hard shell to keep a crack from starting, or tough fibers to keep one from spreading. Either way, the eater still has to eat. And that’s where teeth come in. 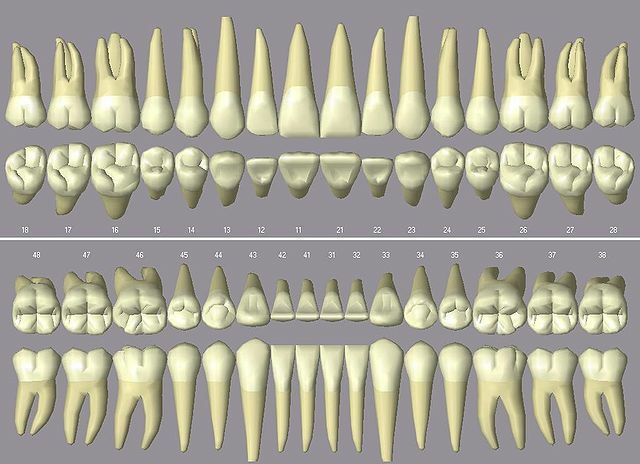 The variety of tooth types, especially across the mammals, is extraordinary. It’s a testament to what evolution can accomplish given time, motive, and opportunity. Lots of animals have “teeth”; sea urchins, spiders, and slugs all have hardened tissues used for food acquisition and processing. But real teeth, like yours and mine, are special. They first appeared half a billion years ago, and Nature has spent the whole time since tinkering with ways to make them better. It’s a story written in stone – the fossil record. We see the appearance of a hard, protective coating of enamel, better ways of attaching tooth to jaw, differentiation of front and back teeth, tighter fit between opposing surfaces, and a new joint for precise movements of the jaw. The motive is endothermy; we mammals heat our bodies from within. And chewing allows us to squeeze the energy we need to fuel our furnaces. The opportunity is evolvability; very slight genetic tweaks can have dramatic effects on tooth form and function. Consider the incredible variety of different tooth types in mammals, matched so well to the foods individual species eat. A lion has sharp-crested chewing teeth, with blades opposing one another like a pair of scissors, for slicing flesh. A cow has broad, flat ones broken by thin, curved ridges, like a cheese grater, for milling grass. You and I have thick molars with rounded cusps that fit neatly into opposing basins, like a mortar and pestle, for crushing and grinding whatever it is we eat. There can be little doubt that the diversity, abundance, and success of mammals, including us, are due, in no small measure, to our teeth. Look in a mirror, smile, and think about it. Featured Image Credit: “Toothbrush, Toothpaste, Dental”, Photo by stevepb, CC0 Public Doman, via pixabay. Peter S. Ungar received his PhD in Anthropological Sciences from Stony Brook University and taught Gross Anatomy in the medical schools at Johns Hopkins and Duke before moving to the University of Arkansas, where he now serves as Distinguished Professor and Chairman of the Department of Anthropology. 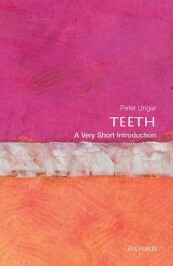 He has written or co-authored more than 125 scientific papers on ecology and evolution for books and journals and is the author of Teeth: A Very Short Introduction. I like the way how every pieces of our teeth are isolated in this article in return highlighting each of their incredible purposes. Its amazing how teeth’s appearance differ on every creature yet they serve only the same purpose.